Last Friday was one of those days, the kind that change lives for ever and this one in particular was definitely not for the better. I sat in our overstuffed chair crying, holding my baby girl tight as I read the news about Sandy Hook Elementary. No one in the world wants to experience a day like that and my heart and thoughts go out to those who did. I have mentioned before the cook book that my aunt compiled of family and friend recipes for Christmas this year and it just seem fitting to share a cookie recipe from my grandmother when I found out about bloggers uniting and sharing a cookie or craft in honor of those lost in last weeks tragedy. These cookies are beautiful, soft and filled with delicious, cinnamon flavor. I remember my grandmother was an amazing cook, she tried to teach me a few of her recipes when her health started to decline – but I was young, in college and preoccupied with things other than preserving family recipes. I was so excited to receive the cook book from my aunt with so many of my grandparent’s favorite recipes, I have already used it a few times. I hope that in some small way these cookies can help lift the spirits of those in need, enjoy and happy baking! Preheat your oven to 400º and line cookie sheets with parchment or baking mats. In the bowl of your stand mixer cream together the shortening, sugar and eggs. Sift together the flour, cream of tartar, baking soda and salt. Stir in the flour mixture until the dough comes together. In a small bowl mix together the 3 Tbs of cinnamon and sugar and scoop the dough into 1 Tbs balls, roll in the cinnamon sugar and bake for 9-11 minutes. I liked them better with less cook time, but if you like crisp go 10-11 minutes. Remove carefully from the oven and cool on wire racks, serve. These look so good. I came across a snickerdoodle recipe in my Better Homes and Gardens cookbook yesterday and thought to myself “I need to make those one day.” Your recipe is definitely inspiring me to make them. Thanks for sharing on Marvelous Mondays! 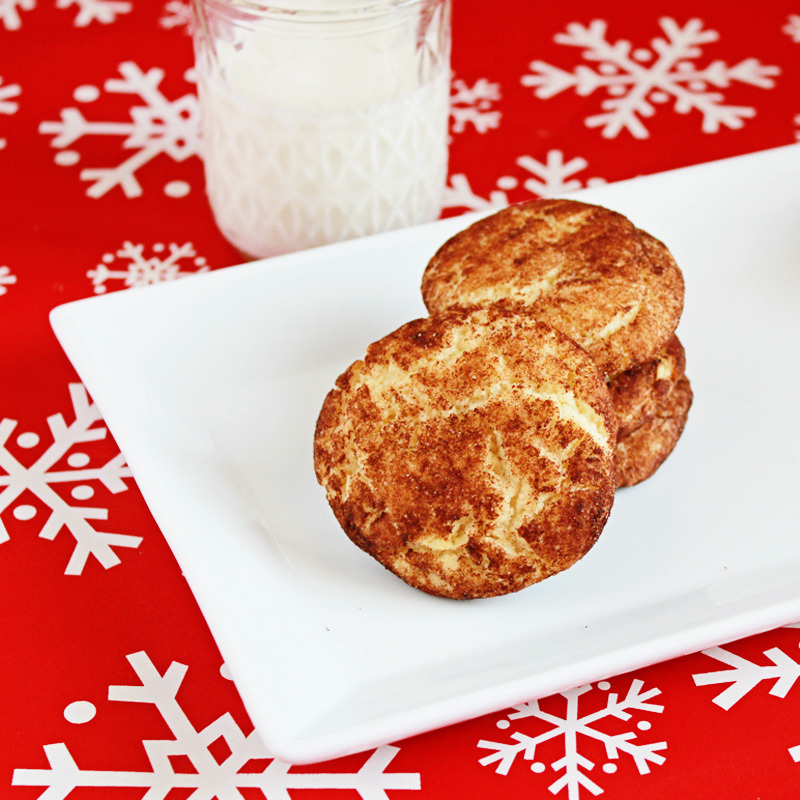 I love snickerdoodles, and these look great! I pinned your recipe. I just made these and my boys love them! thank you!! !